Alan Lange serves as Co-Founder and Managing Director of MuniStrategies. He is an experienced business entrepreneur and has been involved in the startup and management of over a dozen companies. He is a past founder and CEO of Redundant Networks, Inc., a venture-backed managed service provider focused on network disaster-prevention that holds a process patent (US 6,934,732). Prior to Redundant, Lange worked in a variety of publicly traded technology start-up companies. 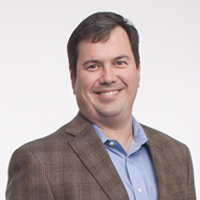 Alan also worked previously with WorldCom where he was a Marketing Product Manager for the company’s Internet group. Lange began his career in 1993 working as Director of Business Development for Informus, which was acquired by ChoicePoint in 1997. Alan lives in Jackson with his wife, Holly and sons, Ford and Jake. He received his Bachelors of Arts in Economics with Honors in 1993 from Millsaps College and later received a Masters in Business Administration from Millsaps in 1996. He is a graduate of the Leadership Mississippi, Leadership Jackson, and was named to Mississippi’s Top 40 Under 40. In 2011, he served on Mississippi Governor Phil Bryant’s Transition Committee for Jobs. Alan has also served as an Else School Advisory Board member at Millsaps College as well as on the Board of the Millsaps Arts and Lecture Series. In 2017, he was appointed to serve on the Mississippi Department of Information Technology Services Board.